Learn how to play more efficiently in transition and keep pressure on the opposing team's defense! In his first year as head coach at Louisiana Tech (2015-16), Coach Konkol set a record for most wins (23) by a first year head coach in the school's history and averaged nearly 80 points a game. As the assistant coach/offensive coordinator for University of Miami under Jim Larranaga, Coach Konkol helped lead the team to the 2013 NCAA Sweet Sixteen, as well as the ACC Regular Season and Postseason Tournament Championships. Drag screen transition attacks have become a popular way of playing fast-paced offense in both college basketball and the NBA. Spacing and the ability to create open 3-point shot opportunities are not only difficult to defend, but also an efficient way to score. Coach Konkol demonstrates his primary and secondary break offense, and the drills that helped his team to be one of the fastest-paced and most efficient offenses in the nation. His emphasis on teaching players to play, rather than just running plays, is a philosophy that coaches from junior high school on up can easily install with their own teams. To help condition players and further emphasize the importance of a consistent transition game, Konkol implements drills and variations that stress multiple conversions and competitive shot goals. He demonstrates a series of five 2-minute drills that his teams use to warm-up at the beginning of practice. These drills also help players learn the options on their primary and secondary breaks. Variations on the Celtic fast break drill keep intensity high and give your team multiple options to flow into on the secondary break. For teams that already use the Celtic Drill to help improve their transition game, Konkol's adjustments and additions will help make your preparation even more effective. 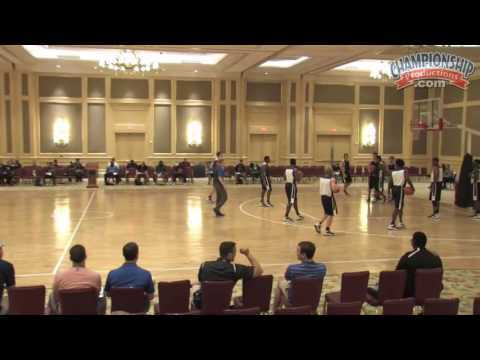 The progression drills presented break down and build up transition offense while teaching your players how to play basketball. Coach Konkol demonstrates live-action progression drills, including the Tennessee Drill and Advantage Progression Drill, which teaches players to make quick decisions in transition against a live defense. Ball screens in transition can open up the floor for a dynamic point guard. Konkol demonstrates his three drag screen breaks, which he calls Rocket 4, Rocket 5 and Double Rocket. He teaches these breaks as a way to transition to half-court offense out their primary break in a way that flows naturally into their spacing. He also demonstrates several 5-on-5 and 5-on-4 situations that his team uses in practice to teach players to read the defense and find the first available good shot in their offense. Learn how to teach your players to play fast-paced basketball using a simple, effective, and efficient offense that players can easily understand. Konkol gives you everything you need to install and teach his transition offense with your own team.